It's okay, you can admit it — you really miss Bluebell, AL. In fact, we should all just admit that we, collectively, really miss Bluebell and Zoe Hart and the constant question of whether or not Zade will get back together. And, unlike with the rest of its popular series, The CW isn't making it easy for us as we wait for the Hart of Dixie Season 4 premiere in 2015. They've already shortened Season 4 and pushed it to a midseason premiere, could us Dixie fans get a least a spoiler or two that isn't about Rachel Bilson and Zoe Hart being pregnant on the show? I'm dying here, CW execs. 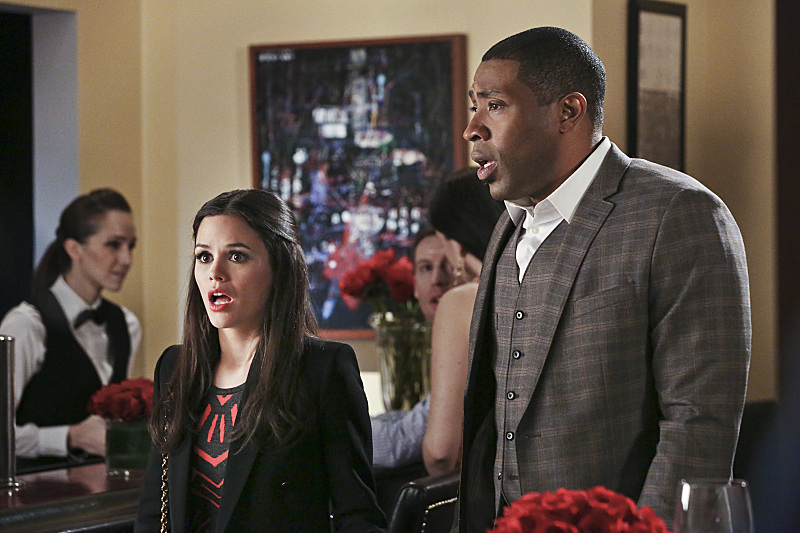 Luckily, you can just re-watch Hart of Dixie Season 3 in the meantime. Even though Jaime King and Scott Porter's Instagram photos are doing their best to drop a few hints about what fans can expect when Dixie finally returns, I know you're really missing it. Because I'm really missing it and my fall TV calendar is really missing it. So, how can you get over your Bluebell Blues AND be prepared for whenever Hart of Dixie Season 4 finally premieres? Luckily for you, there are a handful of ways to catch up on The CW's most adorable series while you're trying desperately to calculate when it'll return. Netflix conveniently offers the first two seasons of Hart of Dixie for streaming. It doesn't necessarily help you if you're trying to catch up for Season 4, but in the past, Netflix has released the previous season a few weeks before the new season begins. So, if you start binging now, you'll be prepared for when Dixie Season 3 becomes available and when the series returns in 2015. Cheers! Both Hulu and CW.com both have the first five episodes of Dixie Season 3 available for streaming right now, but that's all you can get — even if you are one of the lucky subscribers to Hulu Plus. How does Zoe afford all of those ridiculously awesome designer clothes anyway? If you can't bear to wait for Season 3 of Dixie to arrive on Netflix (who could blame you, honestly? ), you can purchase the third season on iTunes for $49.99. And no, I don't recommend watching the first five episodes and then purchasing the rest of the season individually — I did the math and it actually comes out to costing more than just buying the entire season. Sorry, guys.